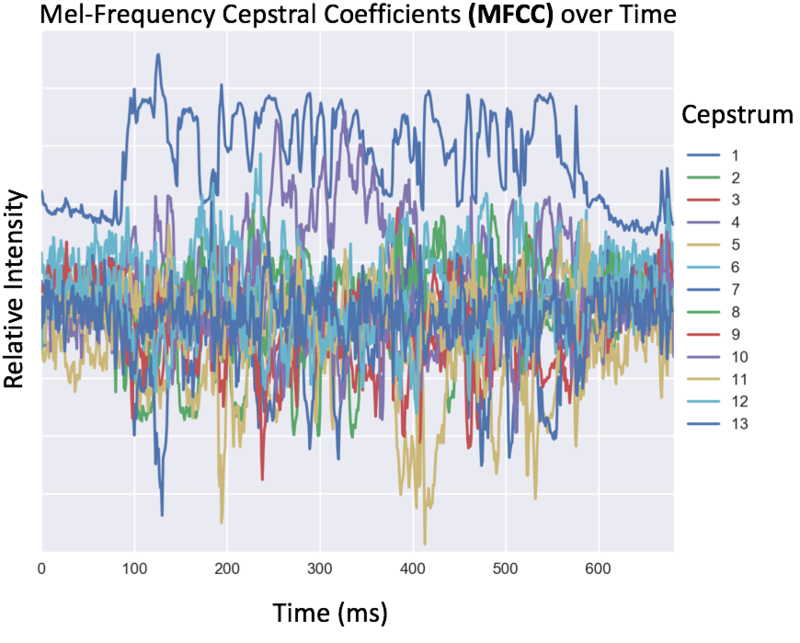 By Matthew Rubashkin & Matt Mollison, Silicon Valley Data Science. 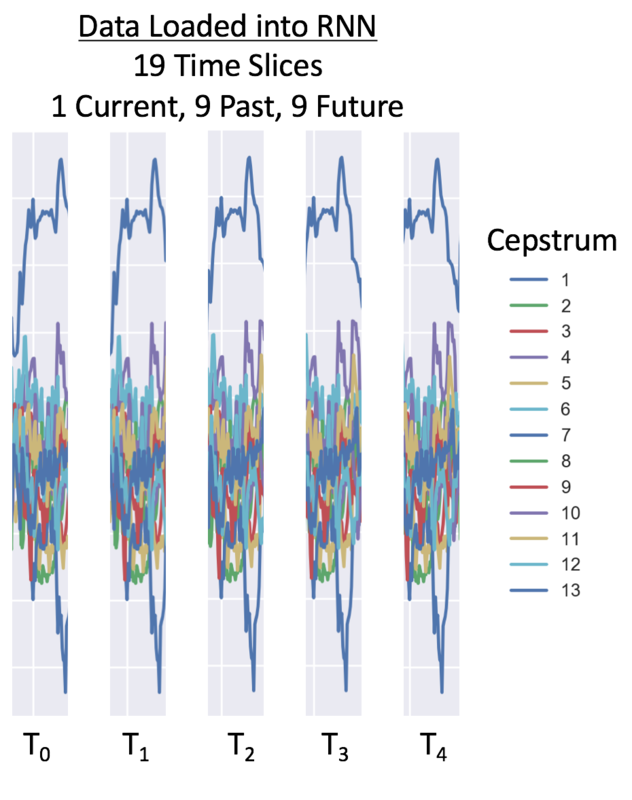 On the deep learning R&D team at SVDS, we have investigated Recurrent Neural Networks (RNN) for exploring time series and developing speech recognition capabilities. Many products today rely on deep neural networks that implement recurrent layers, including products made by companies like Google, Baidu, and Amazon. It should be no surprise that creating a system that transforms speech into its textual representation requires having (1) digital audio files and (2) transcriptions of the words that were spoken. 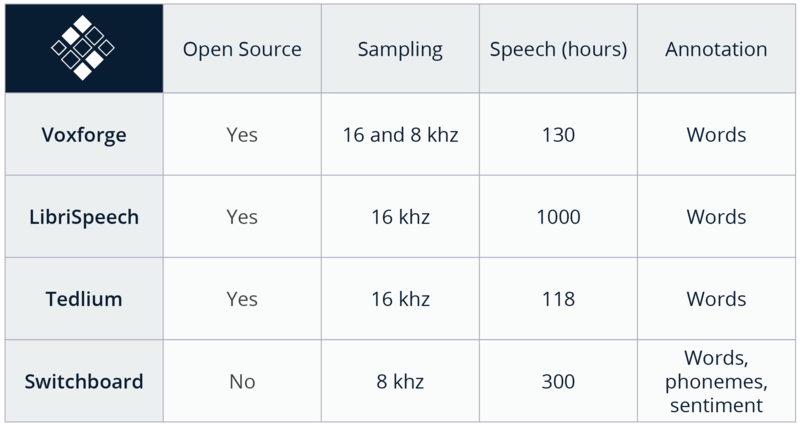 Because the model should generalize to decode any new speech samples, the more examples we can train the system on, the better it will perform. 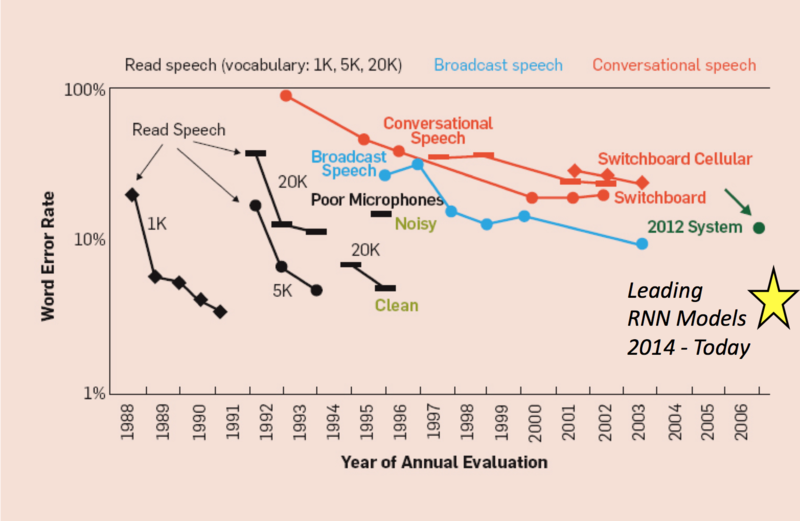 We researched freely available recordings of transcribed English speech; some examples that we have used for training are LibriSpeech (1000 hours), TED-LIUM (118 hours), and VoxForge (130 hours). The chart below includes information on these datasets including total size in hours, sampling rate, and annotation. 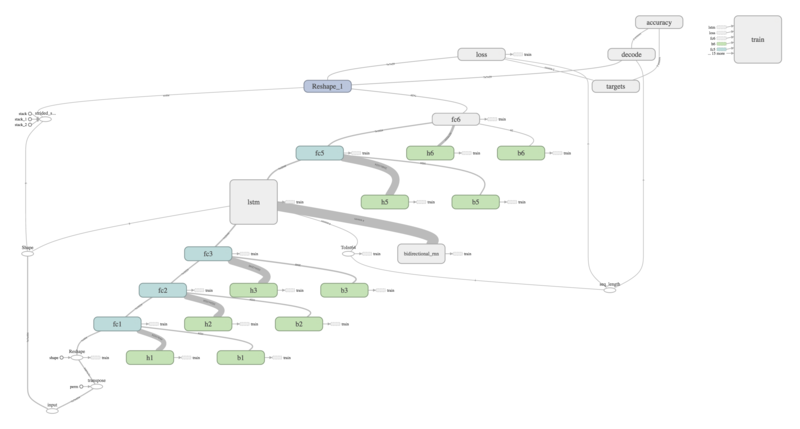 For more details about this type of network architecture, there are some excellent overviews of how RNNs and LSTM cells work. 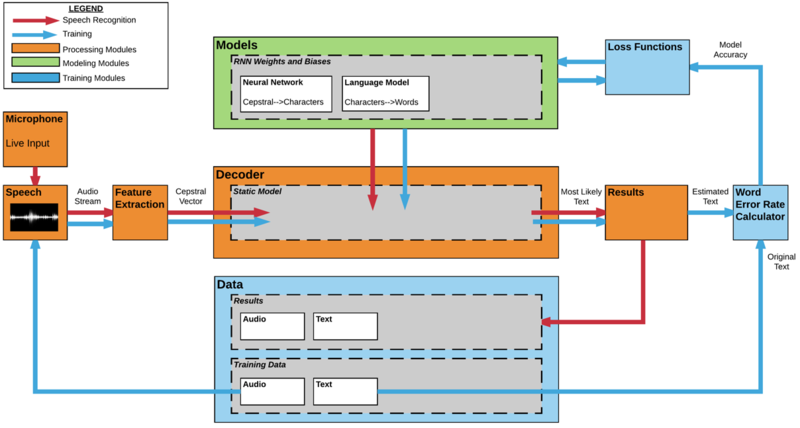 Additionally, there continues to be research on alternatives to using RNNs for speech recognition, such as with convolutional layers which are more computationally efficient than RNNs. We hope that our provided repo is a useful resource for getting started—please share your experiences with adopting RNNs in the comments. To stay in touch, sign up for our newsletter or contact us. Matthew Rubashkin, with a background in optical physics and biomedical research, has a broad range of experiences in software development, database engineering, and data analytics. He enjoys working closely with clients to develop straightforward and robust solutions to difficult problems. Matt Mollison, with a background in cognitive psychology and neuroscience, has extensive experience in hypothesis testing and the analysis of complex datasets. He is excited about using predictive models and other statistical methods to solve real-world problems.